North Korea has made scientific and technological progress a priority for years. It has also announced developments in nuclear technology and the manufacture of nuclear weapons, and is developing, manufacturing and testing missile systems. It is also thought to be exporting missiles and related technologies. These activities, which raise serious concerns about the safety and security of international community, are also being used for leverage in its diplomatic negotiations. 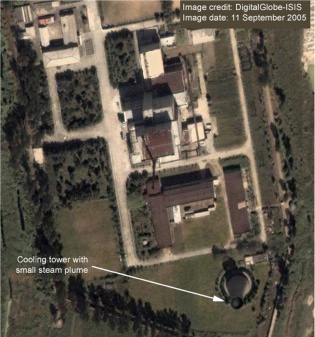 North Korea is currently implementing its five-year plan to develop science and technology, begun in 2003, and in the joint New Year's Day editorial in the three dailies wrote "We should strive more than ever to revolutionize our science and technology, and actively work to resolve scientific and technical issues as we construct a powerful and prosperous nation." * "What is important for the field of science and technology at present is to lay a firm foundation for the latest science and technology and ultra-modern industry, solve the urgent economic issues including the food and energy problems on a preferential basis and energetically speed up the updating of the key industrial domains in the direction of strengthening the Juche character of the national economy." * "The Cabinet will engage itself in brisk external economic cooperation including joint venture and collaboration with overseas Korean traders and manufacturers and foreign enterprises on the principle of assimilating advanced technology." * "We must boost the creative cooperation with overseas Korean scientists and technicians." Based on these facts, joint management with Japanese firms and closer interaction with North Korean residents of Japan in commercial fields or with sympathetic scientists or others could result in illegal transfer of advanced science and technology, and related information and materials. In Japan there is an organization of North Korean scientists living in Japan called the Korean Association of Science and Technology in Japan (Kwahyop), under the General Association of Korean Residents in Japan (Chongryon). This group is involved in a range of activities intended to contribute to the development of science and technology in North Korea. It is essential that no information related to advanced science and technology be transferred out of Japan by illegal activities of such groups. It is also essential that no advanced science and technology transferred out of Japan be used in the development of WMD. Toward this end, Japanese police have kept under surveillance illegal transfer of such information out of Japan, and are to be tough on illegal activities. Note 1: The same New Year's editorial is run in the three major newspapers (Rodong Sinmun, official organ of the North Korean Workers Party; Chongnyonjonwi, official organ of the Kim Il Sung Socialist Youth League; and Josoninmingun, official organ of the Korean People’s Army) on January 1 each year. It outlines the basic policies of North Korea for the coming year. 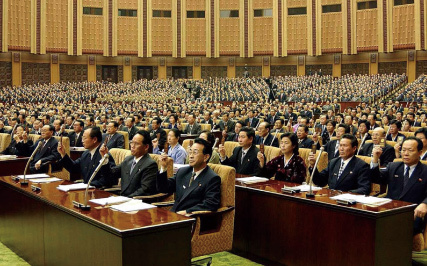 Note 2: The highest organ of state power in North Korea, handling formulation and adoption of laws, budgets, etc. Japanese police have made arrests in seven cases of the illegal export of WMD-related materials involving North Korea . Through these incidents it has become evident that Direct Current (DC) stabilized power supplies and inverters which can be used in uranium purification, freeze-dryers which can be used in the manufacture of biological weapons and other items related to WMD have been exported illegally to North Korea, or were planned to be exported, along with goods like diving equipment, chemical substances and computer parts. 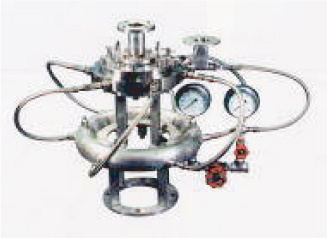 Through the actions of a procurement organ of the North Korean military and other organizations, executives of a trading firm dealing with North Korea signed a contract to export a synchronoscope (export restrictions imposed under COCOM and the Japanese Foreign Exchange and Foreign Trade Control Law (the present Foreign Exchange and Foreign Trade Law), referred to below as the Foreign Exchange Law) and other items to a North Korean trading company. 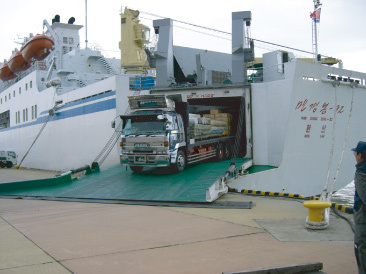 Over an eight-month period from October 1985 to August 1986, multiple illegal exports were made to North Korea without the authorization of the Ministry of International Trade and Industry (MITI) and the authentic declaration to the Director-General of the Customs and Tariff Bureau referred to below as the Director of the Customs, or without the authorization of the MITI and the Director of the Customs. On the occasion of a visit to North Korea in September 1988, executives of the Association of Koreans in Commerce in Japan applied for a license to export daily sundries, but in fact attempted to export personal computers, integrated circuits (IC) and other items on a freighter of North Korean registration without the authorization of the MITI and the Director of the Customs. 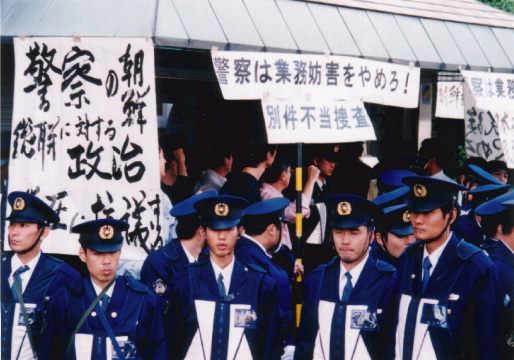 Employees of a trading firm dealing with North Korea loaded shipments of hydrofluoric acid and sodium fluoride, material usable in the manufacture of sarin, a chemical weapon, onto North Korean vessels in Osaka and Kobe ports in January and February 1996, without the authorization of the MITI, and exported them illegally to North Korea. Executives of a trading firm dealing with North Korea exported non-magnetic double valves for high-pressure scuba diving tanks without the authorization of the MITI, although the export of such items as could be diverted for military use is restricted under the Foreign Exchange Law. Multiple shipments were made to North Korea on the Man Gyong Bong-92 between March and October 1996. In arrests related to the illegal export to Iran of materials usable in missiles by a machinery manufacturer in 2003, the MPD detected documentation indicating that the manufacturer had exported jet mills and related peripheral equipment to North Korea multiple times. Of these, in March 1994, one was exported to a North Korean paints manufacturer via Kwahyop, on the Man Gyong Bong-92 departing from Niigata Port. The statute of limitations had already run out by the time the crime was detected. In October 2005, the MPD arrested two executives of Kwahyop on suspicion of violating the Pharmaceutical Affairs Law, and searched related locations. During the searches, documentation related to the Japan Defense Agency was detected at a software firm operated by the executives. These documents were found to contain description that may fall under defense secret. Note 3: Coordinating Committee on Multilateral Export Controls was established in 1949, during the Cold War, to prevent the export of strategic materials and related technologies to Communist nations. It was abolished in 1994.